In Wednesday’s New York Times, I write about California’s move to set up what is believed to be the world’s first statewide greenhouse gas monitoring network. 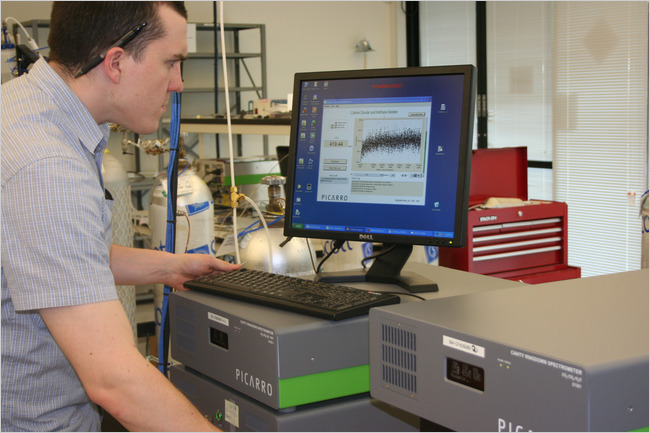 The Silicon Valley company Picarro manufacturers greenhouse gas measurement devices. The first objective of the network, which will place analyzers around the state to measure methane in the atmosphere, will be to determine if actual emissions match estimates. The California Air Resources Board assembles those estimates, called inventories, from computer models that rely on data such as how many grams of methane is burned per gallon of gasoline multiplied by the number of gallons sold in the state. Such models, which follow protocols established by the United Nation’s Intergovernmental Panel on Climate Change, are used worldwide. And while monitoring stations scattered around the world measure average global greenhouse gas concentrations, they don’t identify how much methane is being released in, say, California’s Central Valley, where methane emissions from livestock are assumed to be plentiful. The recent Copenhagen climate change talks faltered in part over the issue of how to verify emissions. And the integrity of emissions trading schemes will depend on ensuring that companies don’t game the market by deliberately or inadvertently under-reporting how much carbon they’re putting into the atmosphere. “If the markets are not matching reality, we will find out at some point and the markets will then adjust with a huge shock,” said Pieter Tans, a senior scientist with the National Oceanic and Atmospheric Administration’s Earth System Research Laboratory in Colorado. With the U.S. House of Representatives set to vote on the Waxman-Markey climate change bill this week, a report issued Thursday predicts the American Clean Energy and Security Act will create a huge market in carbon offset projects like reforestation. In its current form, the legislation allows companies to comply with a cap on greenhouse gas emissions in part by purchasing carbon offset credits generated by domestic and international projects that reduce CO2 — such as capturing methane gas leaking from landfills. According to an analysis by research firm New Energy Finance, demand — for up to 5.7 billion tons of offsets — will far outstrip supply, with domestic projects contributing fewer than 30% of the offsets. In other words, U.S. climate change legislation could goose a global market for offsets. In the U.S. alone, New Energy Finance estimates that the offset market will grow 27-fold by 2015, becoming a $46.7 billion business by 2020. Some environmentalists have slammed Waxman-Markey for its generous use of offsets, arguing that U.S. companies could actually increase their carbon pollution while meeting the cap by buying other people’s emissions reductions. Relying on overseas projects to supply the majority of offsets also raises questions about how those efforts will be verified and overseen, especially if a carbon boom develops. On the plus side, New Energy Finance expects tree projects to “play a pivotal role” in the offset market, which could slow the rapid rate of deforestation afflicting the planet. Green Wombat often highlights high tech when it comes to tackling global warming and energy independence. But a new study from the University of California’s Lawrence Berkeley National Laboratory shows that simply installing white roofs on homes and commercial buildings – to reflect the sun’s rays rather than absorb them – can reduce air-conditioning costs by 20% and could save $1 billion a year in energy outlays in the United States. Switch to cool sidewalks and roads and the savings rise to $2 billion annually, according to the study by scientists Hashem Akbari and Surabi Menon and California Energy Commissioner Art Rosenfeld to be published in the journal Climate Change. The scientists calculated that a global white roofs and roads effort would offset 44 billion metric tons of greenhouse gas emissions, or more than a year’s worth of carbon, and help stablize future C02 emission increases. the effect of the growth in CO2-equivalent emission rates for 11 years,” according to the authors. Such emission reductions, of course, can be securitized into tradable carbon credits, which the study estimates would be worth $1.1 trillion. Regulated carbon market exist in places like Europe but securities based on cool roofs have not yet been created. It’s one of those low-tech, commonsense solutions to both energy use and global warming – one used for thousands of years in the regions like the Mediterranean; those picturesque villages overlooking the sea are white-washed for a reason. In California, commercial buildings with flat roofs have been required to cool it since 2005. But one of the biggest hurdles in the U.S. to doing the white thing may be homeowner associations that dictate everything from the color of your mailbox to where you place your rubbish bin. The vast majority of homes in California either have standard black shingle roofs or Spanish-style red tiles. A proposal to paint those roofs white will likely incite architectural outrage. But there’s another, albeit much more expensive solution, to hot roofs: Cover them with solar panels. 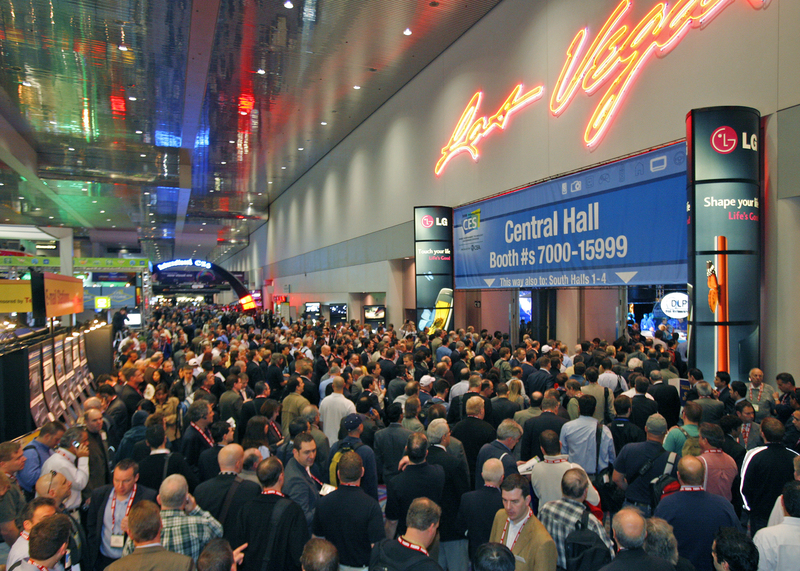 The Consumer Electronics Show now underway is a tech Bacchanal that this year is drawing some 140,000 people to Las Vegas. In years past, CES organizers might have touted the outsized consumption that accompanies the instant creation of a mid-size city. These days that would be ecologically incorrect, of course, and CES stresses that the 20,310 tons of planet-warming carbon dioxide conference-goers will generate will be completely neutralized through the purchase of carbon offsets from the non-profit Carbonfund.org. The cost of the CES carbon tax: $108,000. No, there’s not a zero or three missing from that number. For the price of a Tesla Roadster and change, CES is cleansing the collective environmental sins of 140,000 people. Without wading into the controversial arena of carbon offsets or questioning the good intentions of CES’ organizers, that number begs an obvious question: If neutralizing a looming global catastrophe comes so cheap, wouldn’t have Bill and Melinda Gates just have written a check by now? Unfortunately, when it comes to greenhouse gases, what happens in Vegas does not stay in Vegas. The very real CO2 emissions from those 140,000 people now gridlocking the Strip — think of all those idling taxis alone — will enter the atmosphere in real time. Worse, much of the electricity for CES is being generated by a 42-year-old coal-fired power plant north of Las Vegas that was identified in a recent report on utility emissions as the nation’s worst carbon polluter. Those emissions will in no way be immediately offset by the purchased carbon credits. The money will fund environmentally worthwhile projects but it may be years — or decades in the case of reforestation – before they actually begin having an impact on greenhouse gas emissions. According to Carbonfund.org’s Web site, CES’ money will be invested in such things as buying renewable energy certificates from wind farms and planting trees in Nicaragua and Hungary. CarbonFund is also letting conference-goers offset the considerable CO2 emitted by jets ferrying more than a hundred thousand people into Las Vegas. That’s also a bargain: The bill for the six Fortune reporters who flew into town for CES from New York and San Francisco comes to a grand total of $23.81. At that price, you almost feel guilty about paying so little to not to feel guilty about your contribution to global warming. CES also has taken such environmentally friendly steps as using biodegradable food utensils and recycled paper and laying down recycled carpet in an exhibit hall. But there’s no getting around the fact that the confab is held in what is perhaps the United States’ most unsustainable city, whose unchecked sprawl across the Mojave Desert makes it an ecological time bomb as temperatures rise and water tables fall. Relocating the event to New York, Boston, San Francisco or another walkable, mass-transit, eco-oriented city would send a message that CES is serious about going green. Of course, it’ll snow on the Strip in July before that happens. But for CES 2009, why not ditch the carbon offsets and use the money to buy a fleet of bicycles instead of clogging the streets with carbon-spewing taxis. It won’t neutralize CES’ greenhouse gas emissions but it would actually reduce them where it counts. Just about every business has an electricity meter and a water meter. But what about a greenhouse gas meter? In the years ahead, a growing number of companies will need one. A national U.S. greenhouse gas cap is all but inevitable and global warming-driven limits on greenhouse gas emissions already imposed by Europe and California require certain industries to calculate and report their emissions. 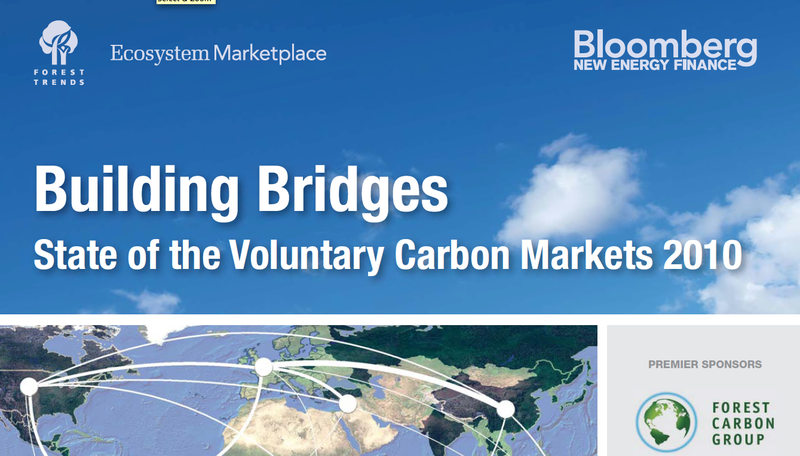 Emerging carbon trading markets, meanwhile, offer the opportunity to profit from cutting CO2. Even companies unlikely to fall under the purview of the carbon regulators — such as Google (GOOG) and Sun Microsystems (JAVA) — are measuring their carbon footprints as an act of good corporate citizenship to show customers employees their green bona fides. As Green Wombat has written previously, IBM (IBM) sees a big business in carbon consulting. Now Big Blue has collaborated with Evergreen Energy (EEE) to create what they call the GreenCert greenhouse gas meter. Rather than a hunk of hardware, it’s an Internet-based software program designed to collect real-time emissions data from sensors and other sources. It calculates the volume of greenhouse gases being released into the atmosphere by a company and certifies any reductions as credits that can be traded on carbon markets. GreenCert’s engine was developed by C-Lock Technology, a subsidiary of Evergreen, a “clean coal” technology company. IBM is providing the database and Internet software to allow GreenCert to be rolled out across across industries and be accessible to regulators and other parties. The project was born out of Evergreen’s efforts to quantify emissions reductions from its technology that transforms the dirtiest coal into a cleaner-burning fuel. The GreenCert gas meter is an attempt to standardize what is now largely a one-off customized task. Companies that want to calculate their carbon footprint face myriad choices, according to Larry Vertal, senior strategist at chipmaker Advanced Micro Devices (AMD), which annually tabulates and discloses its greenhouse emissions as part of its global climate protection plan. Among them: what to measure, how to measure and what scientific protocols to use. If those protocols change or new legislation or regulations alter the way emissions are calculated, a company must go back and tweak its customized carbon footprint program. GreenCert, on the other hand, automatically incorporates such changes, according to C-Lock chief technology officer Patrick Zimmerman, who led the team that developed the greenhouse gas meter. “The system was designed to very efficiently and accurately quantify greenhouse gas emissions in a way that is transparent, reproducible and easily automated,” he says. The program starts with a database profiling a particular industry then collects emissions data from a specific company. Evergreen is first focusing on agriculture and the utility industry. GreenCert allows farmers to quantify and document changes in agricultural practices that result in more carbon being stored in the soil and then sell those carbon credits, theoretically, on carbon trading markets to companies that fail to meet their greenhouse gas emission quotas. For utilities, GreenCert installs sensors and conducts an audit to establish an emissions baseline and then delivers software over the Internet so power plant managers can document changes in, say, boiler efficiency. Evergreen spokesman Paul Jacobson said GreenCert is in its pilot project phase and it has yet to be decided whether the company will license GreenCert to customers or provide the greenhouse gas meter in exchange for a percentage of the revenue from trading carbon credits. Evergreen has its eye on government-regulated carbon markets, like the European market and the one being considered by California. In such cap-and-trade markets, companies’ emissions are limited; if they exceed their caps they must buy emission credits from those that have reduced their carbon output. That said, there’s no guarantee at this point that such markets will accept credits generated by GreenCert. For its part, IBM sees GreenCert as the type of greenware with a significant potential payoff. More states are expected to join the Western Climate Initiative – a consortium of six U.S. states and two Canadian provinces developing a regional carbon trading market – in the coming months, officials said today on a conference call. The WCI includes Arizona, British Columbia, California, Manitoba, New Mexico, Oregon, Utah and Washington. New members may come from the U.S., Mexican and Canadian states and provinces currently associated with the group as observers: Colorado, Kansas, Nevada, Ontario, Quebec, Saskatchewan, Sonora, and Wyoming. WCI officials said they were also open to the participation of Native American tribes, given that a number of power plants operate on tribal lands in the southwest U.S. Five states founded the WCI in February to adopt a regional greenhouse gas reduction target and a carbon trading market to achieve the goal. Last week the group announced a regional target of reducing greenhouse gas emissions 15 percent below 2005 levels by 2020. (Individual states and provinces have set their own targets. Utah, for instance, won’t set a target until next year while California law requires the state to cut greenhouse gas emissions to 1990 levels by 2020.) The WCI also said that by August 2008 it will have designed a regional carbon trading market to allow those companies that reduce their emissions below the limit to sell credits to those that do not. WCI members on Wednesday’s conference call said the group has yet to decide whether the initial carbon allowances would be auctioned off or distributed. But WCI reps said mandatory corporate reporting of greenhouse gas emissions would likely be required. The design of the so-called cap-and-trade system is being closely watched by the utility industry, judging by the representatives from companies like PG&E (PCG) and Southern California Edison (EIX) who joined the conference call held to provide an update on the WCI’s work.